The linking pin of Zeiss and Kodak is August Nagel, a self made man with only a basic education and apprenticeships in several manufacturing firms but with a head for business and designing a factory. He was the driving force behind the Contessa firm, 1908, and a while later, the Contessa Nettel Werke, 1919. In 1920 it became the Contess Nettel A.G. with Nagel listed as General Director. Being always his own boss, nagel was unhappy with his new position within the Zeiss Ikon merger. 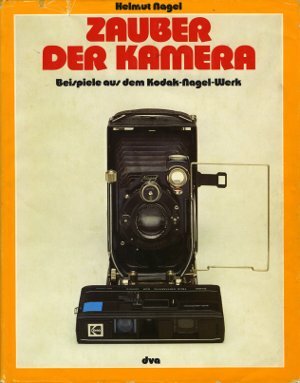 Effective March 31, 1928 he made the decision to resign from the firm and start his own company Dr. August Nagel - Fabrik fuer Feinmechanik, which in a much later stage was taken over by Kodak. Also you can find brochures etc. under the Other tab, Other Photo info, Kodak. More details of the Kodak Retina Ib? More details of the Kodak Retina IIc? More details of the Kodak Retina IIS? More details of the Kodak Retina IIIC?